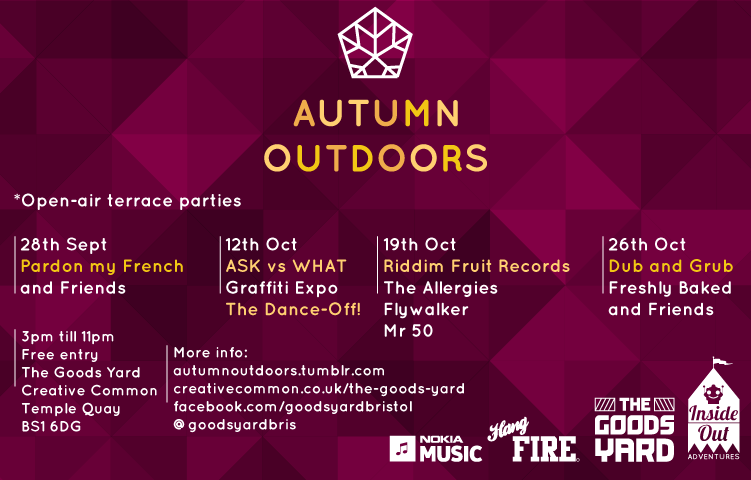 During Autumn The Goods Yard will be host to a diverse mix of Bristolian talent. We are super happy support this event, especially as there is going to be an ASK vs WHAT graffiti showdown...get down to the Goods Yard. The Goods Yard present Autumn Outdoors.